Join us for the CDBIA May General Membership Meeting as we celebrate our future. 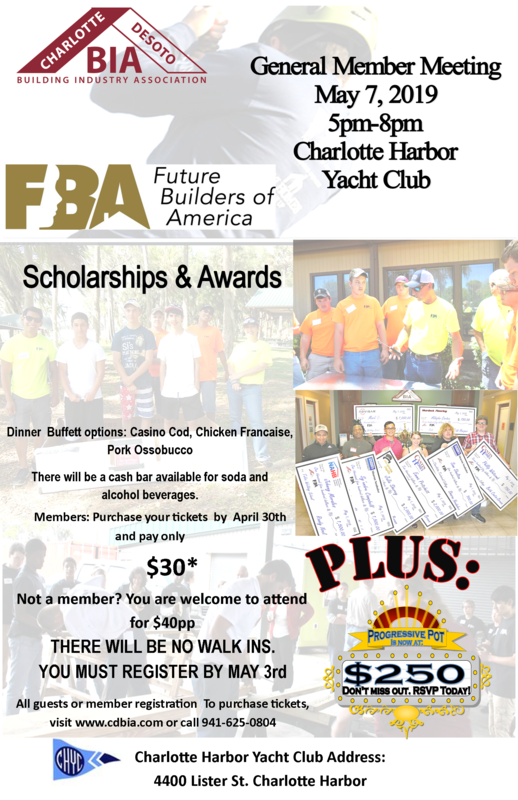 Special Guests: Recipients of the Future Builders of America Scholarships. There will be a cash bar available for soda and alcohol beverages. At the end of the evening, one CDBIA member’s name will be drawn to win the progressive pot. This month, the pot is at $250.00! If the member is present, they will win the pot. If not, we will add $50 to the pot and draw again next month.